Quick-service counter serving specialty drinks only. 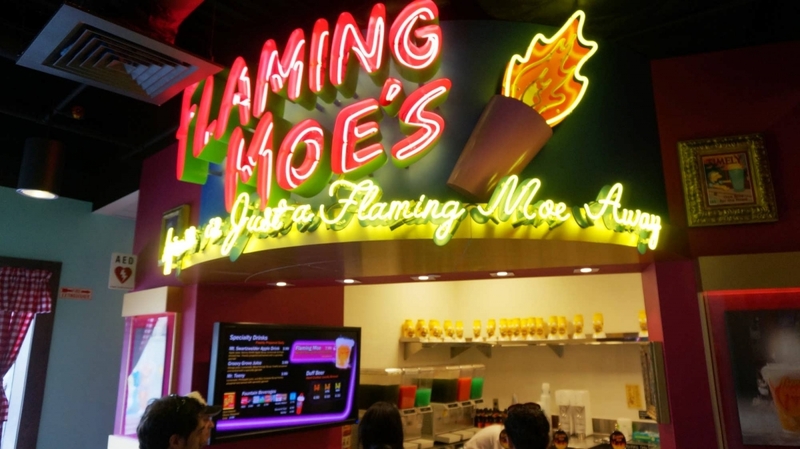 Flaming Moe’s is the last counter in Fast Food Blvd, offering patrons a variety of “you can only find ‘em in Springfield” drinks from the depths of The Simpsons mythology. 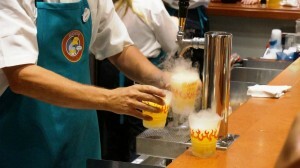 Selections include Moe Szyslak’s Flaming Moe and for the first time anywhere, Duff beer. 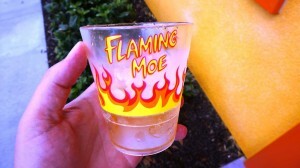 Flaming Moe’s at The Simpsons Fast Food Blvd. Drinks range between $3.99 and $7.99. 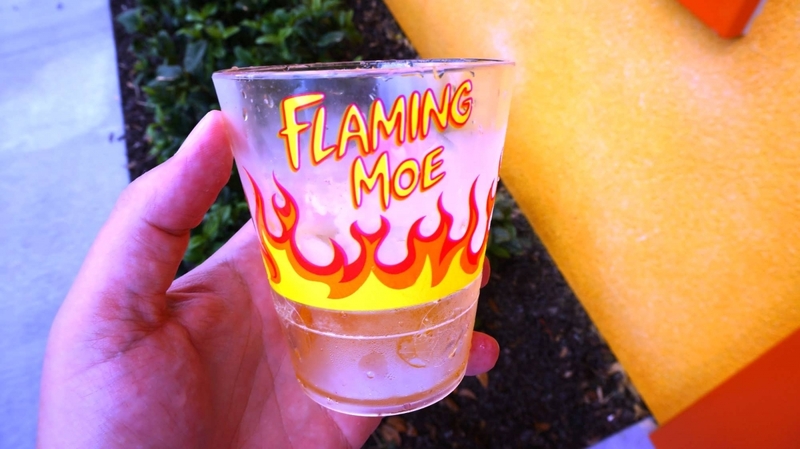 The Flaming Moe’s “flaming” effect is created using dry ice and a special cup that has a bottom compartment to hold the ice. 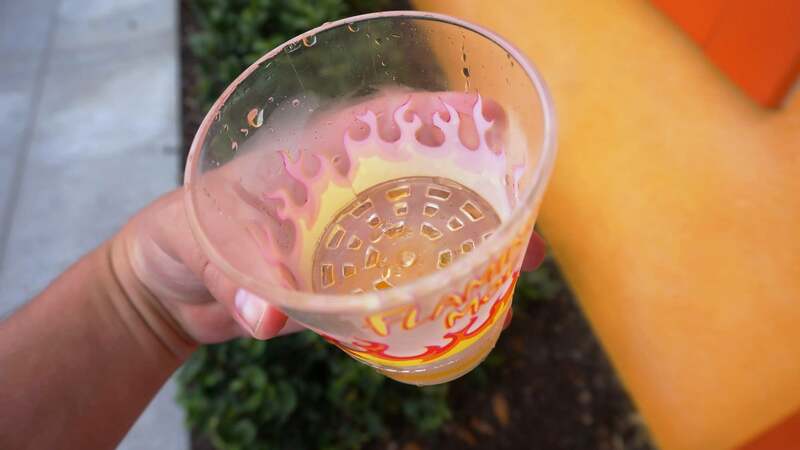 When the drink is first served, it bubbles like it is boiling hot with smoke coming off of it. While the drink itself is just orange soda, the surprisingly fun and effective “flaming” presentation lasts up to five minutes — making the Flaming Moe possibly the first signature drink in any park that can compete with butterbeer in terms of overall appeal. The Mt. 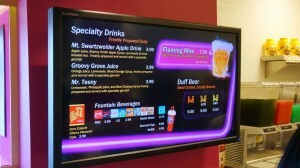 Swartzwelder apple drink is a reference to the Mt. Swartzwelder historic cider mill located on the outskirts of Springfield. The mill sells apple cider, apple pies, and various other apple related merchandise (including apple hats that are similar to the “cheese heads” worn by fans of the Green Bay Packers). 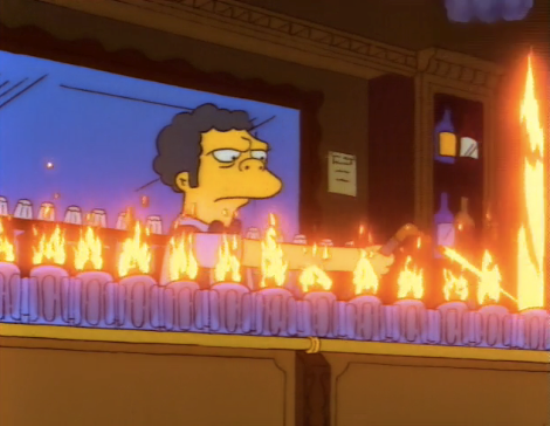 On The Simpsons TV series there is a running joke that Duff, Duff Lite, and Duff Dry are all actually the exact same beer. 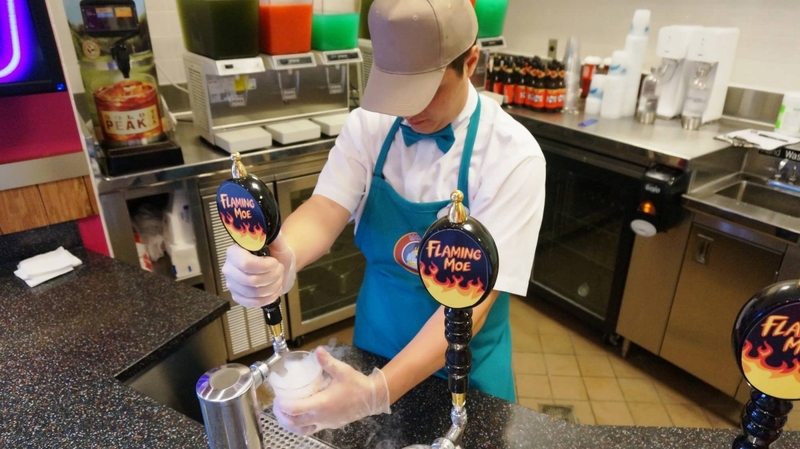 In Fast Food Blvd they are completely different and are brewed by the Florida Beer Company based out of Melbourne, Florida. Taste wise, regular Duff is most comparable to Heineken, Duff Lite to Miller Lite, and Duff Dry to Guinness. 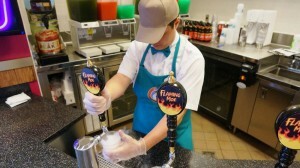 All three drinks are exclusively brewed and sold at Universal Studios Florida. My aka is SHREK so I had to get my picture taken with him. I stopped I'm moe's to have a crusty burger and a drink at Moe's the flaming Moe's. 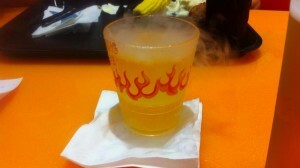 I thank the drink was great the steam coming off the drink was cool and the orange flavor was good. I would recommend it to try!! When I visited Universal Orlando, I was really pleased the fast food boulevard has recently opened and was looking forward to a 'Flaming Moe'. I really enjoyed my flaming Moe, probably the effect of sort of dry steamy ice and bubbling more than the actual drink itself. 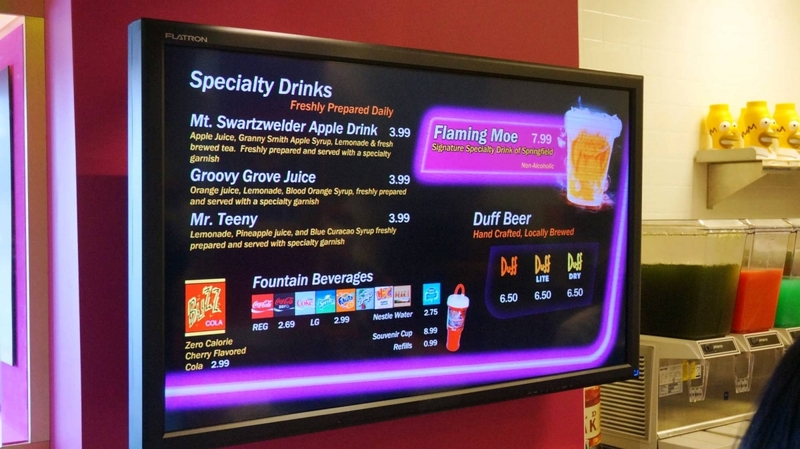 The only reason it is not 5 stars is the price for how much drink you actually received, but I guess that is the norm pricing in theme parks! It had a very nice sort of Orangeade taste to it from what I remember! Looks awesome, tastes good and get a cool little cup!